I learnt that hard work pays off. I need to believe more in myself and work harder. I learnt that you have to take chances and it's good to come out of your comfort zone. Wellfield High Sdchool is a secondary school in Leyland for 11-16 year olds and has been building an alumni network with the support of Future First since September 2014. owing a period in special measures, exam results have improved remarkably, but raising aspirations remains a key challenge for the school. The school leadership selected 30 Year 10 students who were lacking in confidence to take part in Future First’s Building Motivation programme. Through a structured programme of three workshops, students were exposed to a range of inspirational alumni. Co-designed with teachers in the school, the programme also responded to local needs. 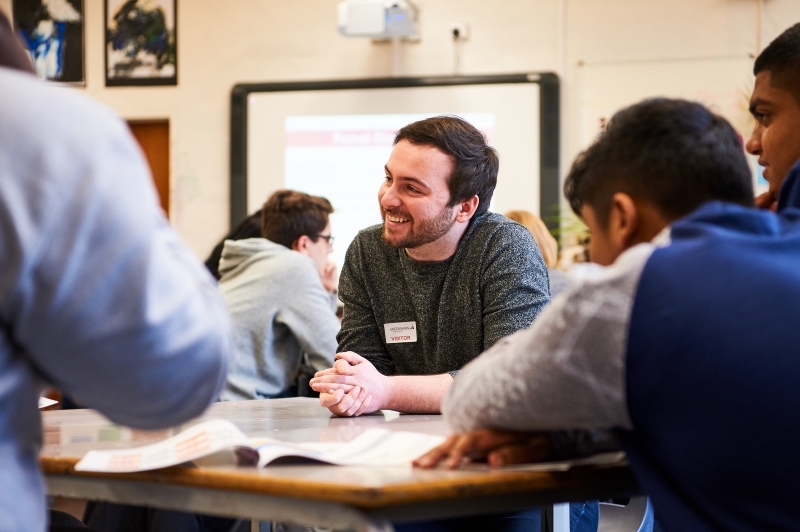 For example, the school wanted to hear from alumni from BAE Systems- the largest local employer- as well as someone who had pursued psychology as a career path, as several of the students had expressed an interest in that field. In the first of the three sessions, small groups of students participated in an interactive hour-long workshop in which they heard from alumni in a broad range of roles and from different sectors. In the second, students heard from alumni volunteers about how both good and bad grades can impact on future education and employment opportunities. The last session saw small groups of students work with an alumni volunteer who helped them to create their own ‘Picture of Me’. Working through a list of prompt questions, alumni volunteers guided the students into reflecting on the talents and achievements they already have and how they can continue to develop them in the future. As a result of the sessions, 93% of students committed to working harder in their lessons.